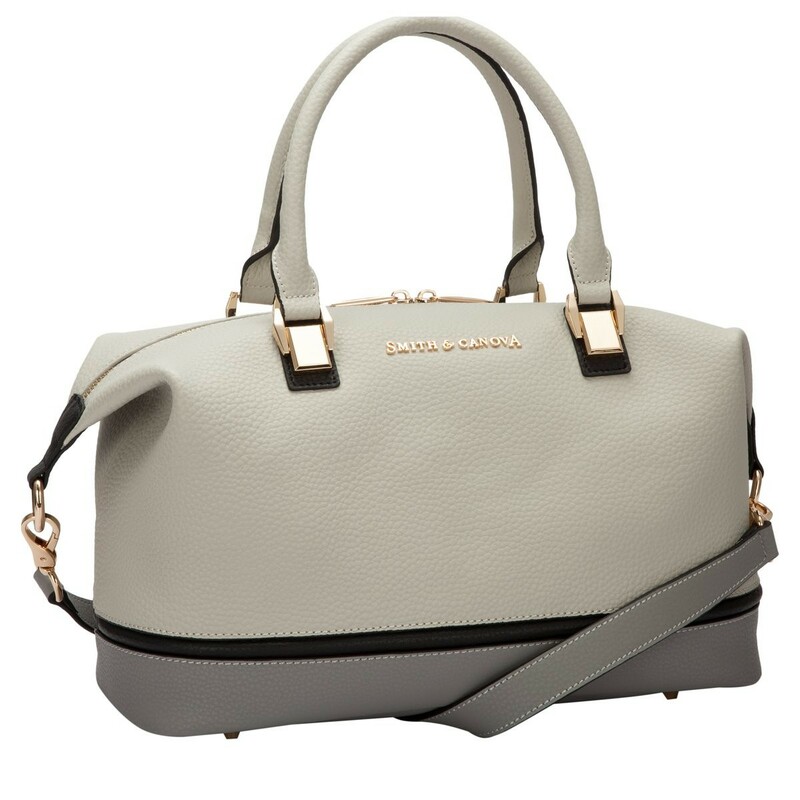 This effortlessly stylish, sleek new shape is a stunning piece of arm candy. 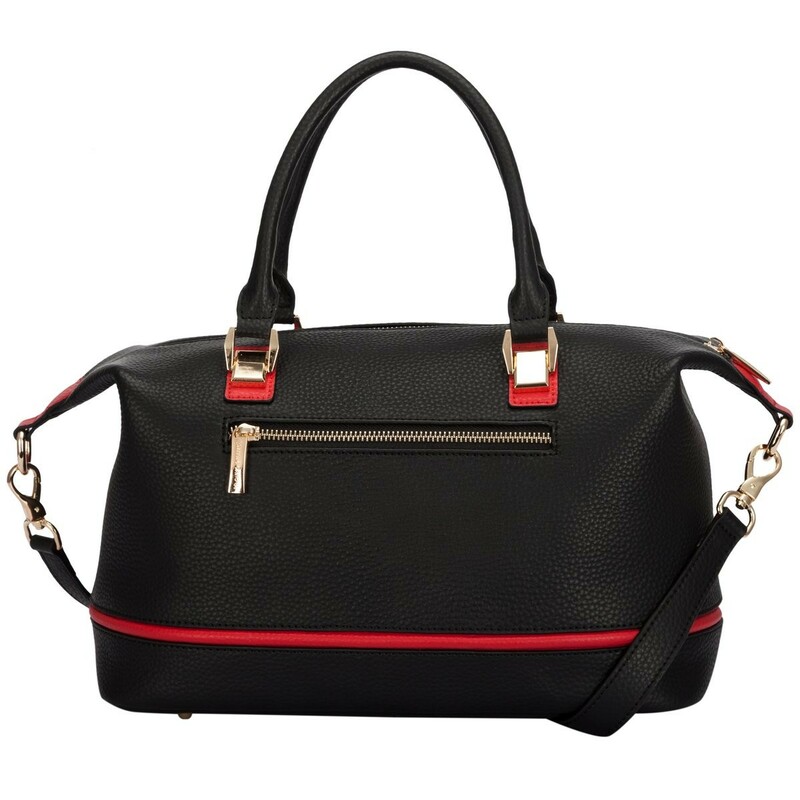 The minimalistic approach and gold hardware finishes the design. 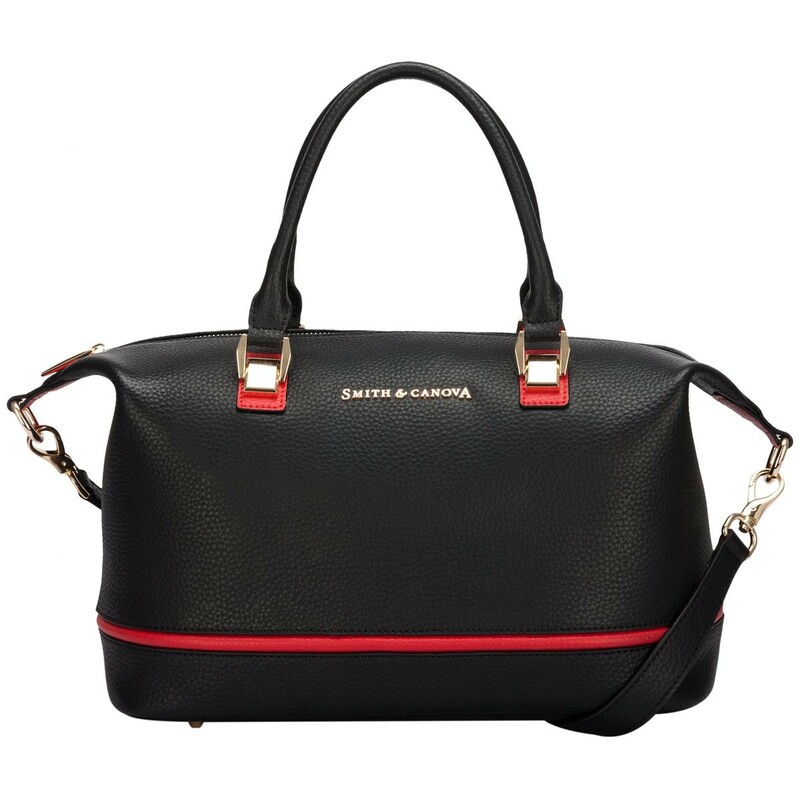 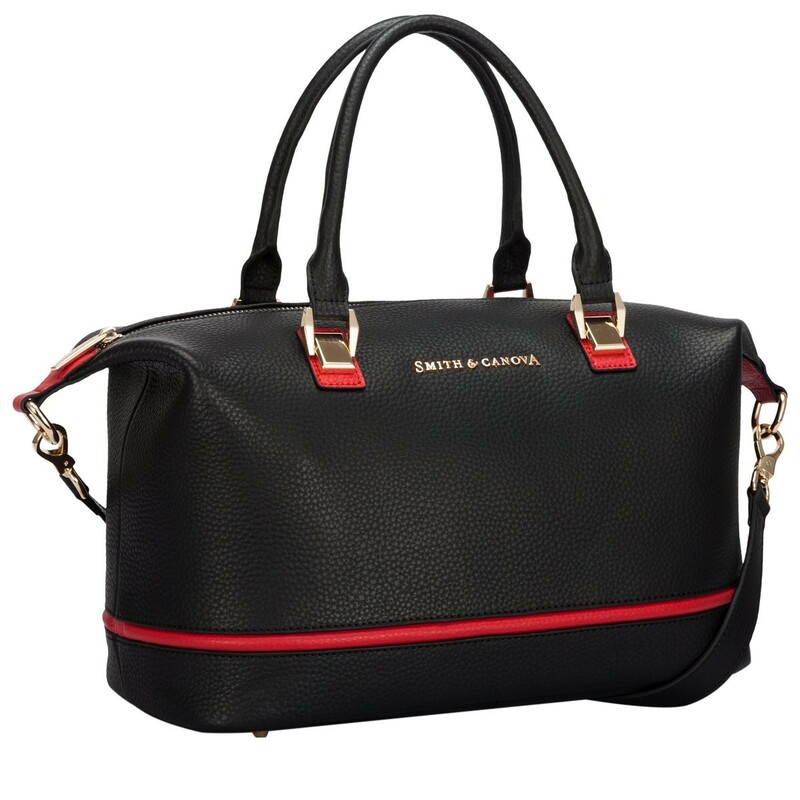 There is a choice of styling - the twin grab handles or the detachable leather shoulder strap. 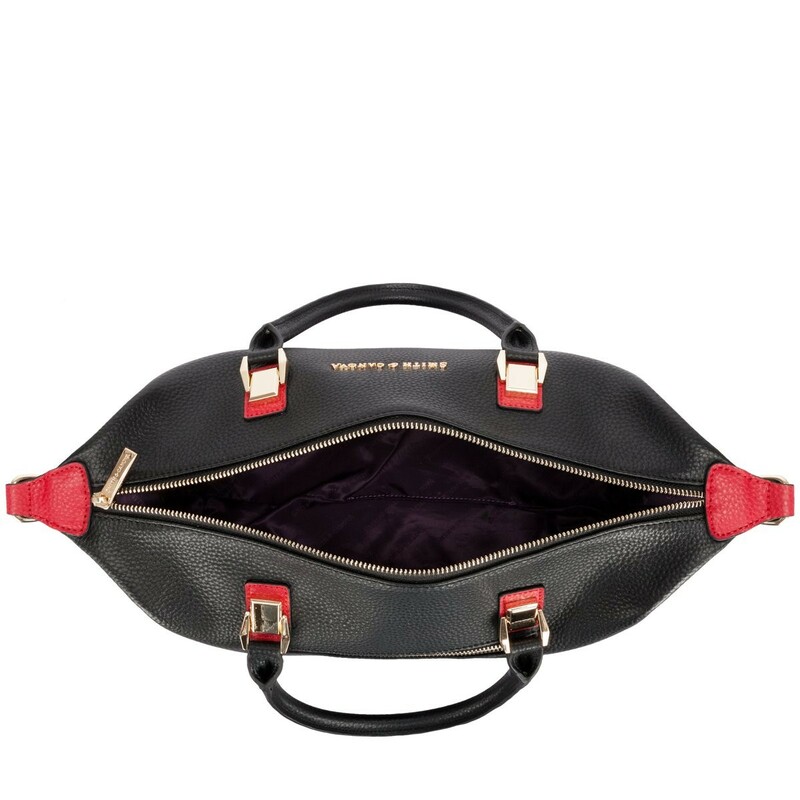 The unique shape hangs differently when worn as a cross-body, making it a versatile style. 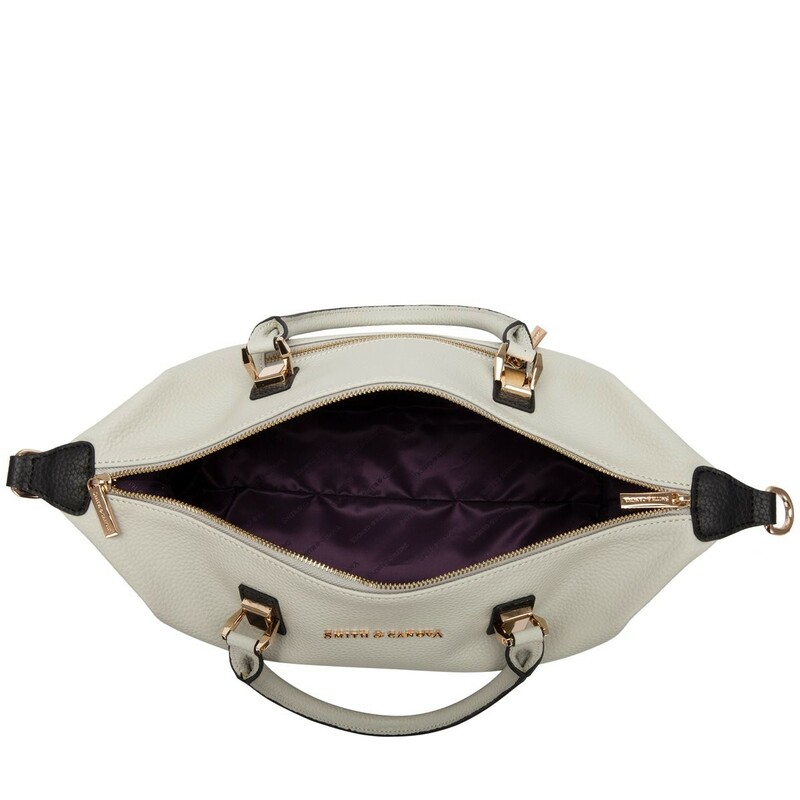 A spacious interior with the signature Smith & Canova purple lining comes complete with a zip and slip pocket. Finished with the trademark Smith & Canova stylish, gold script logo.